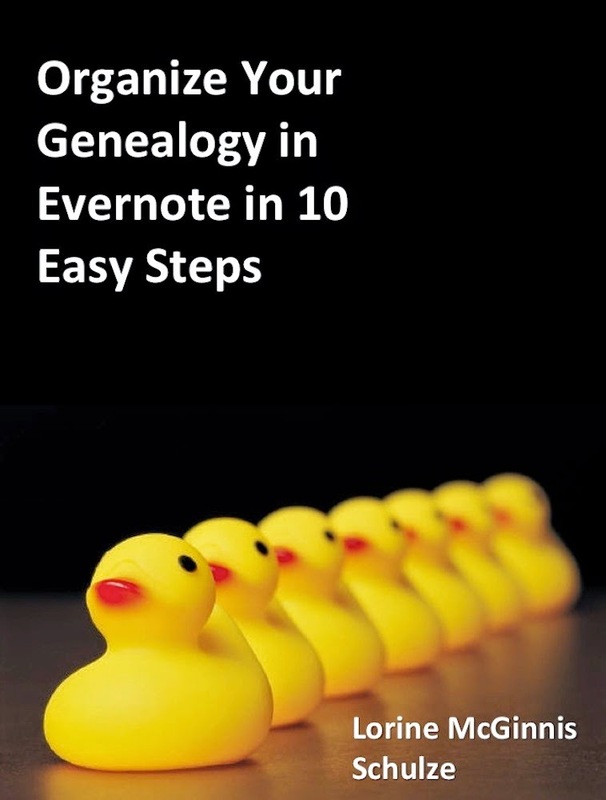 Here is a Challenge for all genealogy bloggers. Keep a weekly journal called Sharing Memories. 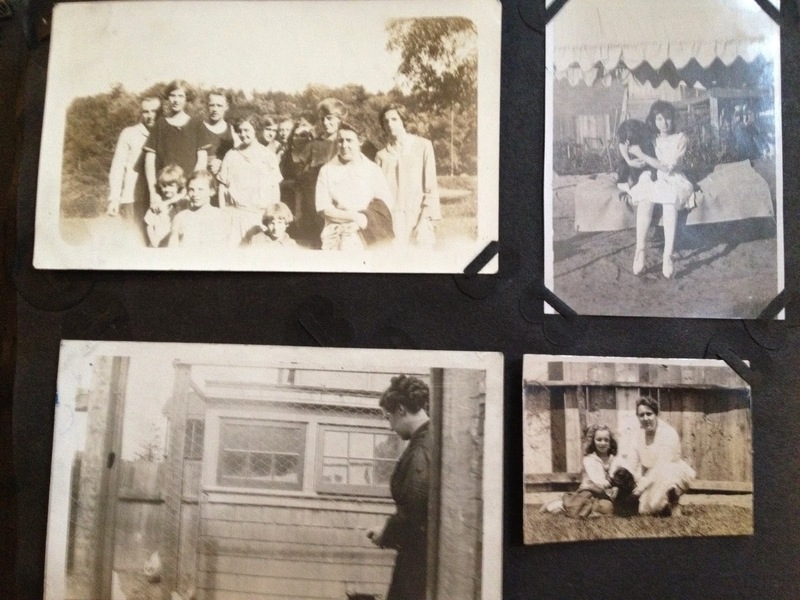 Some of you may recall that in 2010, 2011 and 2012 I provided weekly prompts to help with recording our memories of ancestors and our own childhood. If you missed this weekly series called Sharing Memories you might want to have a look and see if any of the prompts are helpful to you. What was it like for you the week or weekend before school started up again after summer holidays? Did you get lots of cool notebooks, pencils and pencil crayons? Did your mom buy you that backpack you wanted? We didn't have anything special for back-to-school like they have now. All I ever got was new binders, 3 ring lined paper and a few pencils and pens. But I was happy. 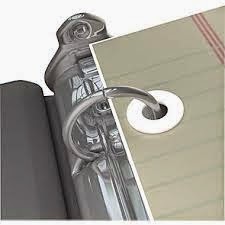 Remember those little adhesive white rings with the hole in the middle that you put to reinforce your 3 ringed notepaper? I loved those silly things! I was wishing I had some of them today when a Recipe binder I use lost its first page because the holes ripped from use. The stranger checked his pocket watch. Almost 9:15 pm. The train from Milwaukee should pull in to the Missoula train station any minute now. He began to gather his belongings - two large suitcases full of his wallpapering and painting tools. In 1911 it didn't do to leave your luggage out of your sight so he tried to keep it by his feet whenever possible. When the train stopped, the man picked up his luggage, ignoring the twinge of pain across his chest. He was a short man, only 5' 8" and heavy, weighing almost 215 lbs. At 55 years old he figured he wasn't in as good shape anymore and wasn't surprised that his chest and arm ached. Carrying these suitcases as he went door to door looking for odd jobs was enough to make anyone have aches and pains! He was a drifter and went from town to town in the Western states, barely making enough to pay for his travel expenses. But that was how he had chosen to live. He liked being alone and going places where no one knew who he was and the cries of "There goes N****r Joe!" FN no longer rang in his ears. For that was what the townspeople called him in the town where he grew up. His grandfather, a free man of colour from Pennsylvania, married an Irish woman and his father married a German woman so he could, and did, pass for white among those who had not known his family. It was growing dark and was drizzling a bit, so he picked up his pace. Even though it was a comfortable 67' he was sweating as he hurried towards the stairs to the Higgins Avenue Bridge. Trudging up the stairs he noticed he was out of breath and his chest was tingling with bursts of sharp pain. He hoped he'd find a room to rent fairly close by once he crossed the bridge into town. The bridge was crowded with townspeople but he barely noticed as the pain in his chest increased. Halfway across the bridge, he stopped and set down his heavy cases, gasping for breath as a lightning jolt of pain hit. He leaned against the railing and then suddenly fell and lay there, not moving. A woman screamed and a few men rushed to him to see if they could help him up. But the stranger lay dead. One of the men shook his head and told his friend to run and get Doc Walsh or the town police. Regret to inform you of passing of your husband Joseph E. Butler. Please advise what to do with body. 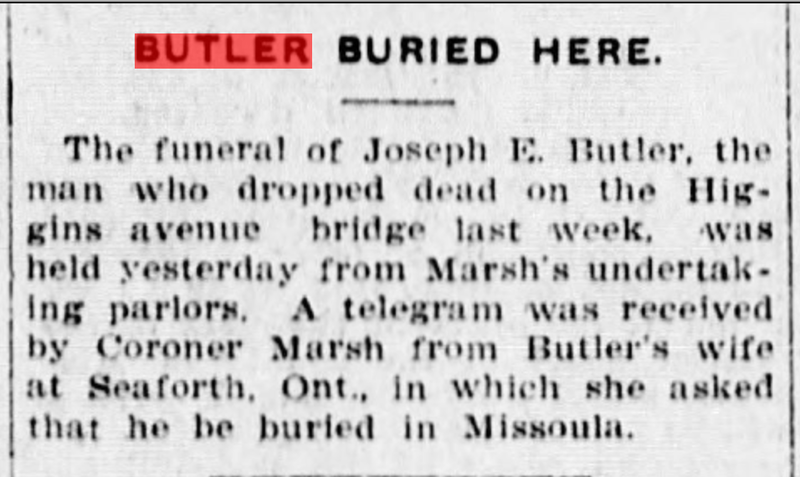 And so Joseph E. Butler, my husband's great-great grandfather, was buried alone in the Missoula Cemetery in Missoula Montana. It took me over 15 years to find his death but last night was my genealogy breakthrough. 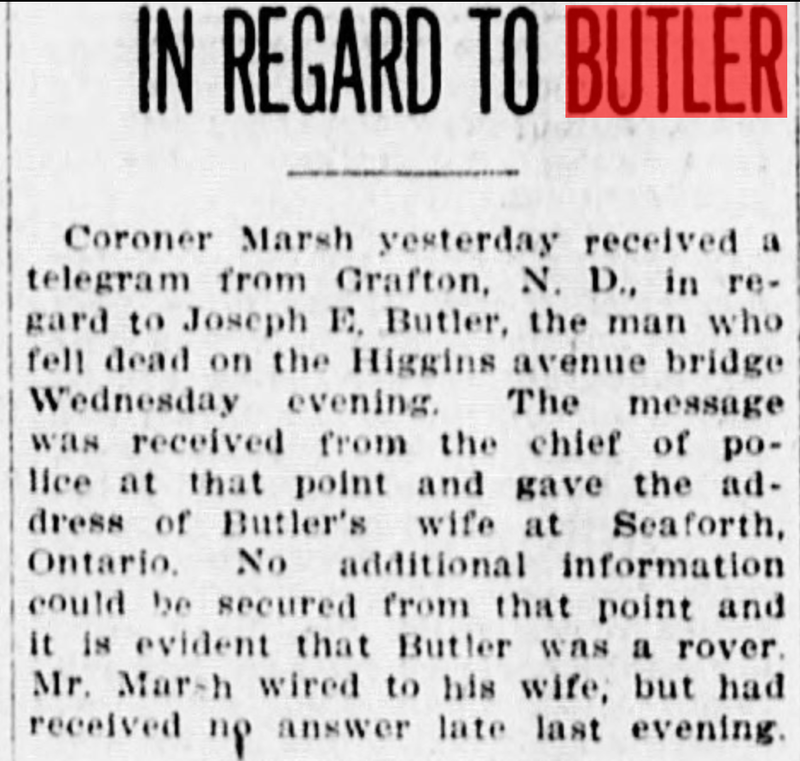 I followed a hunch I had that he had ended up in North Dakota near his brother Jake, and finding a grave online for a J. E. Butler prompted me to look for records of this J. E. Butler. None were found, it was as if he had come out of nowhere. No census, no marriage, no sign that he had ever lived in or near Missoula Montana. So why was he buried there and with an actual marker? Name Joseph E. Butler. Died May 17, 1911. Place of death Missoula Bridge. Coroner said Heart Disease. No name of coroner. Buried May 27, 1911. Paid cash but no name of who paid. With that I went on a hunt for a death certificate or newspaper notice, something that would give us a place of birth or spouse's name. I still was not sure this was "our" Joseph at this point. At that is where luck and friends came into play. I found an index entry to a newspaper death notice placed in The Missoulian on May 18th and put out a request on Facebook for anyone with access to this edition to copy and send it to me. At the same time I began a search online and found that the Missoulian was available for free at Chronicling America. As I was pulling up that date, a Facebook friend sent me the article. 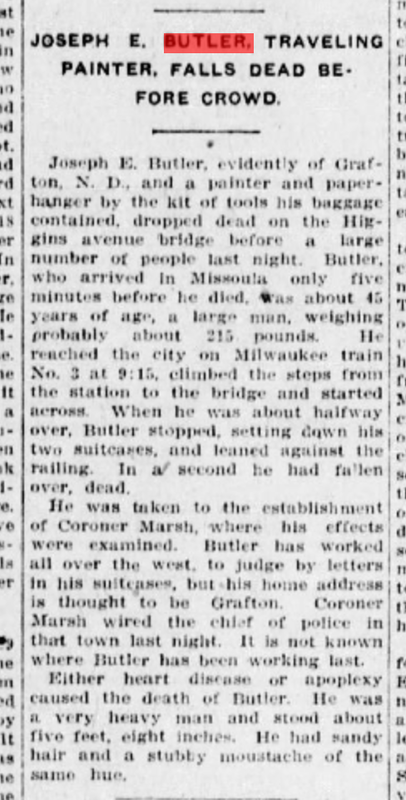 I eventually found 3 articles about Joseph and his lonely death in Missoula on the Higgins Avenue Bridge. Our cousin Judy mentioned how said it was that he died alone, but I don't think it was the saddest part of this story, for he chose the life of a drifter. For me the sad part was that his granddaughter Mary (my husband's grandmother) is not with us to learn what happened to her grandfather. It was a mystery she longed to solve and I would have loved to share this with her. And so the story ends. 103 years later, Joseph has been found. Perhaps one day we may be able to visit his grave in Missoula and pay our respects. FN This description of the nickname the townspeople had for Joseph came from the grandson of a man who knew Joseph personally. The image says it all... Free access means NO credit card required! Free Access to billions of records until September 1st 2014. This is fascinating. Archeologists uncovered a circular structure near Scarborough, North Yorkshire, which dates back to the Stone Age 8,500 years BC. It was found next to a former lake and predates the dwelling previously thought to be Britain's oldest, at Howick, Northumberland, by at least 500 years. It's fun to think about the possibility that one of your ancestors lived in this house! If you have ancestors from Scarborough Yorkshire this is certainly a possibility. My daughter-in-law has roots that go back to that area so it's interesting to speculate. Have you researched the history of your house? Two years ago I researched the land where we built our home 16 years ago and that was fun. It used to be a large farm piece of property which was severed over the past 100 years. It was fun to look up the previous owners in census records. Next I want to research the old homes I lived in when I was in town, especially the house that was haunted! Sneak Peek at Season Finale of Who Do You Think You Are? Minnie Driver sets out to learn more about her secretive father and traces the highs and lows of his career in the Royal Air Force during World War II. Through military documents, she comes to understand why her father was the way he was, and how his combat experience impacted the rest of his life. Since Minnie never met her paternal grandparents, she follows the trail in England until she comes face-to-face with the very first relative she’s ever met on her father’s side, and finds a kindred spirit in a family member she never knew about. Labels: Ancestry.com, Minnie Driver, TLC, TV Series, WDYTYA, Who Do You Think You Are? This is an exciting find of a previously unknown and unrecorded cemetery. I am not sure who found this old burial spot in Ontario Canada but the YouTube channel is owned by NPBOGS which stands for Niagara Peninsula Branch Ontario Genealogical Society. "We came across this cemetery from a tip that we received from an OGS [Ontario Genealogical Society]Member. Besides taking photos and other information we preformed [sic] Dowsing and from what can gather there are approx 8 plots. Please see video for more details." This past June, Ancestry.com announced that they were retiring the MyCanvas website and service in September 2014. We’ve heard from many people who love MyCanvas and hate the idea of it going away. Well, we have some good news for you: It’s not going away after all. We listened and decided not to retire MyCanvas, but instead transfer the website to Alexander’s. "We're happy to let you know the service will remain available and that we will provide access to those in Canada as well as ship the books to Canadian addresses." 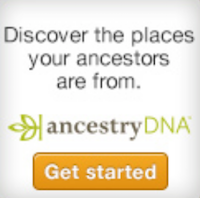 For those who were not aware of this, we Canadians could not use MyCanvas as Ancestry would not ship to us. This is wonderful news! Sister A. Tupper (Canadian Nursing Service) who has died She had been awarded the Royal Red Cross. My research on Sister Tupper revealed that Nursing Sister A.A. Tupper died 9 Dec 1916 at the Canadian Convalescent Hospital in Uxbridge, and was buried in Hillingdon Cemetery in Uxbridge England. The cause of her death was pneumonia. 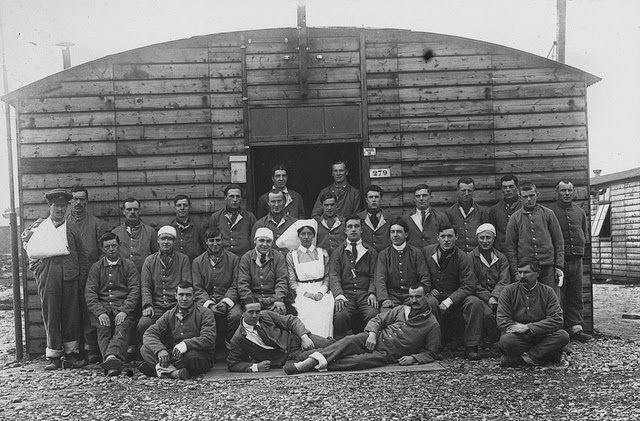 Nursing Sister Canadian Army Medical Corps No. 2 Canadian Gen. Hosp. Daughter of Mrs. Mary E. Trefry, of Bridgewater, Nova Scotia. Her next of kin on her death record was noted as Mrs. Mary Trefry in Bridgewater Nova Scotia, Canada and this allowed me to find her Attestation Papers. 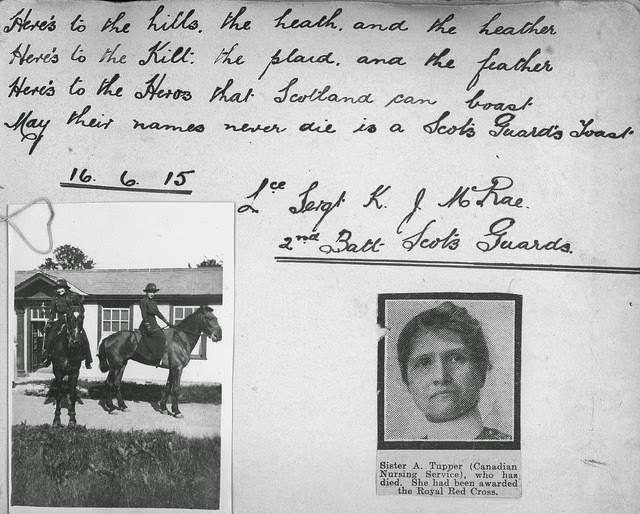 Addie Allen Tupper enlisted in the CEF (Canadian Expedtionary Force) as a Nursing Sister in September 1914. She was a widow and was born in Yarmouth, Nova Scotia on October 13, 1870. On 15 November 1915 Addie sailed from England on the Metagama, landing at the port of Quebec. She is on a list of "Returning Soldiers" with aother Nursing Sister named Florence McCallum. 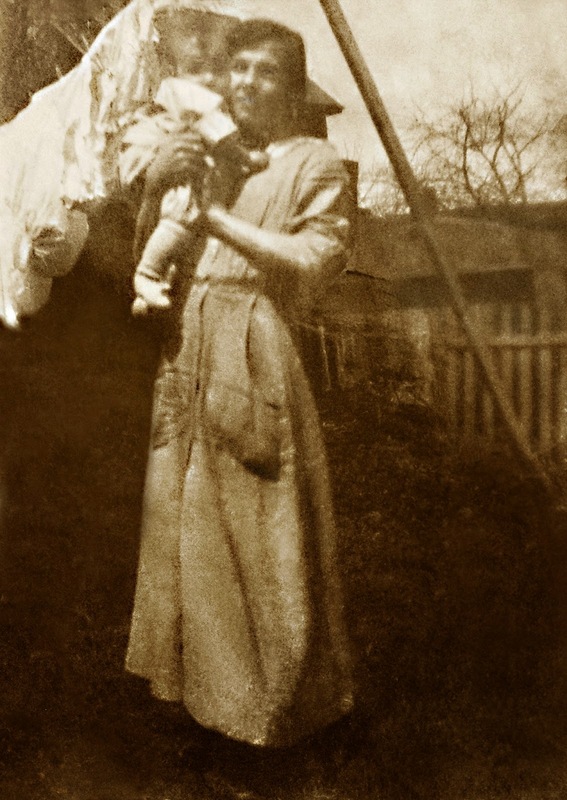 On 14 December 1915 Addie and Florence returned to England. Her immediate relatives are four daughters, Mrs. Wade of England, wife of the late F.B. Wade, M.P., who was well-known here; Mrs. Alfred Wade; Mrs. Frances Starr; and Mrs. H.M. Patillo, who were at her bedside when the death angel came. Her husband, Captain Rufus Perry Trefry, predeceased her in 1909, as did a daughter, Nursing Sister Tupper, who sailed with the First Expeditionary Force for service in France in 1914. She was the second to enlist for service from Bridgewater and died of pneumonia in England, in 1918 [sic], following close on her decoration at Buckingham Palace. She is buried at Uxbridge, England. Mrs. Trefry, whose maiden name was Mary Ellen Raymond, was born at Yarmouth and was the daughter of the late Mary Patten and Benjamin Raymond. 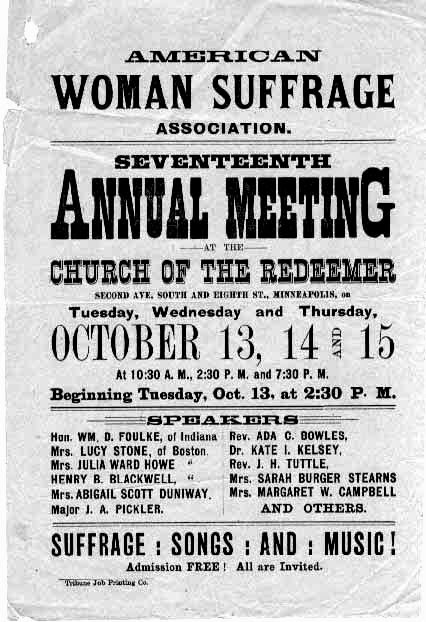 Although Addie gave her date of birth as 1870 in reality she was 10 years older. I suspect she lied when she enlisted as she probably knew that the military was unlikely to accept a woman in her 50s. She is found on census records with Rufus and Mary Trefry but she is recorded as Addie C. Allen on some. It seems that her father was not Captain Rufus Trefry but a man named George Allen. Addie's marriage to William S. Tupper in 1898 in Nova Scotia names George as her father. At her marriage she reveals her true age of 38, giving her an estimated year of birth of 1860. She was 54 years old when she enlisted -what a courageous woman! Canadian women won the right to vote in 1918 although women in Manitoba could vote in their Provincial Elections in 1916. 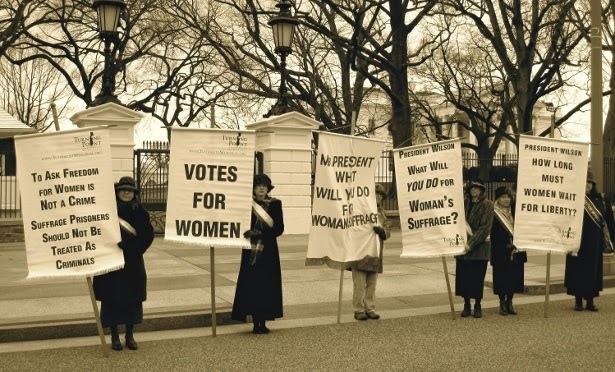 Quebec women fared the worst with women not being granted Provincial voting rights until 1940! "age 21 or older, not alien-born and meet property requirements in provinces where they exist." 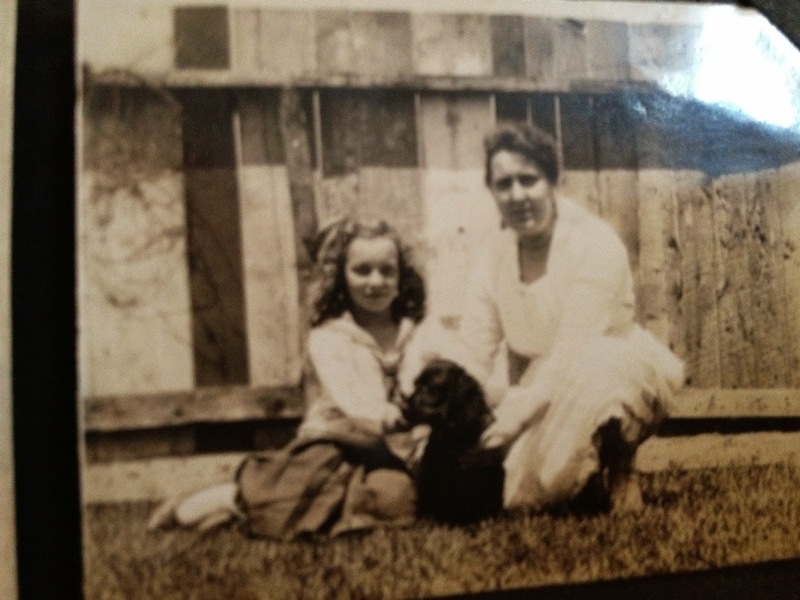 Have you ever wondered if your grandmother or great-grandmother was involved in the Suffragette Movement? I hope mine were. I am quite sure they supported it but did they go out and protest in the streets? I don't know. We fought hard to gain this right but I wonder how many of us use it. Do you vote? I know I sometimes miss although I do try to make it to every election voting day. I don't want to let my grandmothers down by not exercising that right. If you missed this weekly series called Sharing Memories you might want to have a look and see if any of the prompts appeal to you. Many readers asked me to continue with the prompts this year so that is what I am going to do. This week's prompt is Let's Visit Grandma! Was visiting Grandma a favorite time for you? Did you get to see her very often? Which grandmother was it? What did you like best about the visit and was there anything you didn't like? We went to Guelph Ontario about once a month to visit my Grandma McGinnis. I loved going although I hated the actual car ride as I got carsick every time. But I loved getting to see my cousins much more than Grandma. Grandma rarely spoke to us children. She wasn't unkind, she just didn't talk to us except to say hello and ask how school was. We'd make the rounds to dad's brothers Joe and Roy. His other brother Clare lived with Grandma so that was two visits in one. I didn't like Grandma's house on Water Street - it smelled and the only bathroom was in the basement. Her basement scared me. It had a dirt floor and a single light bulb hanging from the ceiling. The bathroom was very small and the sink was stained and yellow. There wasn't a shower, and in fact I can't recall if there was even a bathtub! 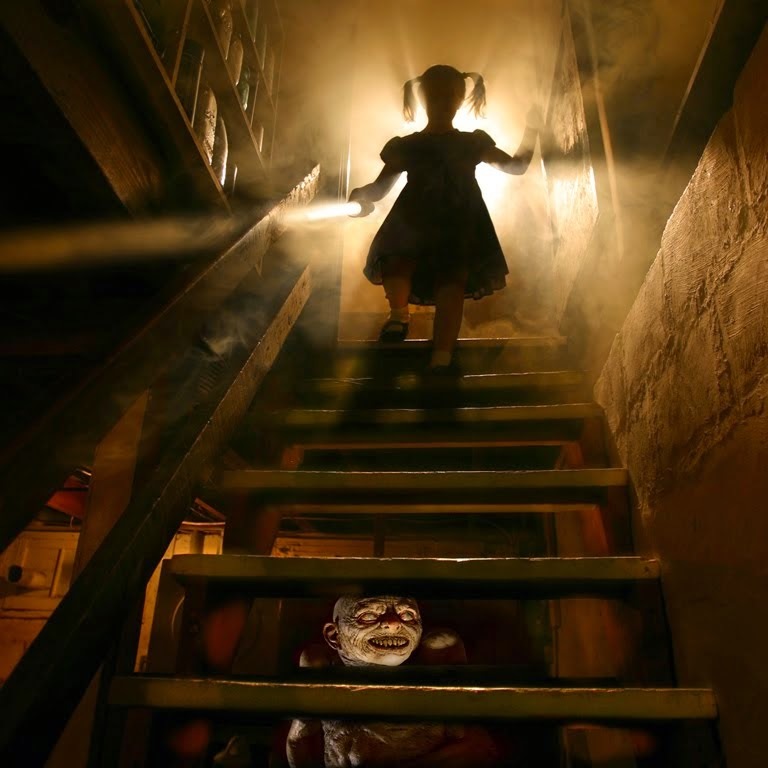 I've never quite gotten over my fear of basements and I make my husband go with me when I go to ours. it doesn't have a dirt floor but it still makes me anxious. The one cool thing was that Grandma lived just a few houses down the street from John McCrae's house (author of In Flanders Fields). 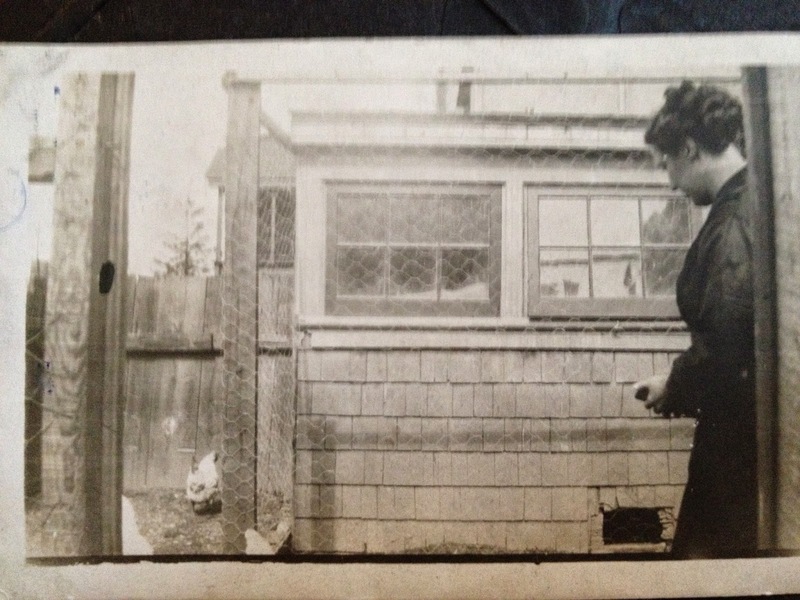 She lived there from the early 1900s so it is quite possible she knew him. I never thought of this as a child but as an adult I have to wonder why we never visited my mother's mother. She lived in Guelph too but I don't remember us taking time to drop in on her. 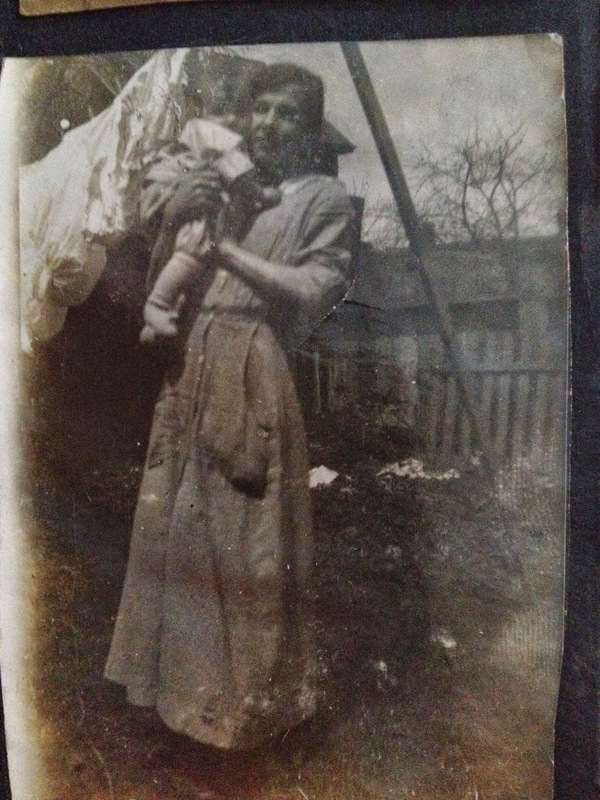 Continuing on with my WW1 Photo Album archive here is the 17th page in my mother's cousin Doris Simpson's album. Auntie Cordie is 2nd from the right. 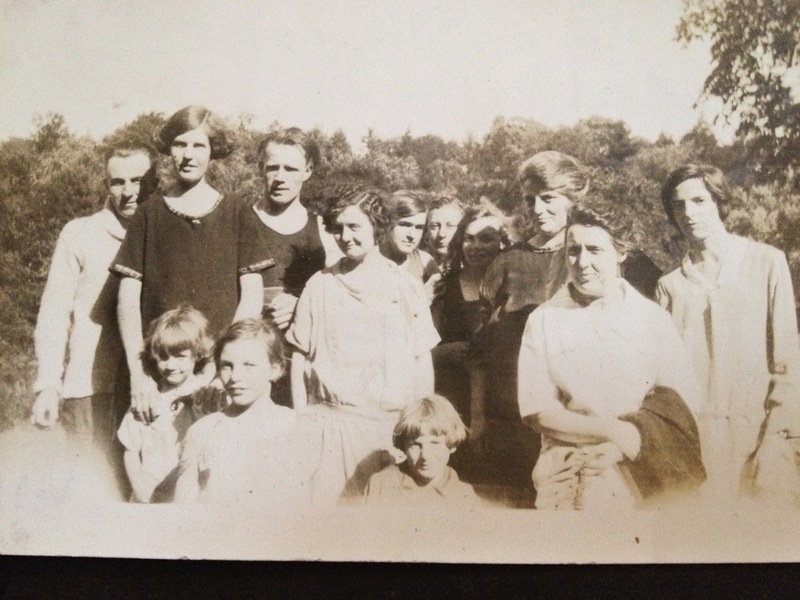 Doris is partially hidden in a dark dress, 4th from the right. 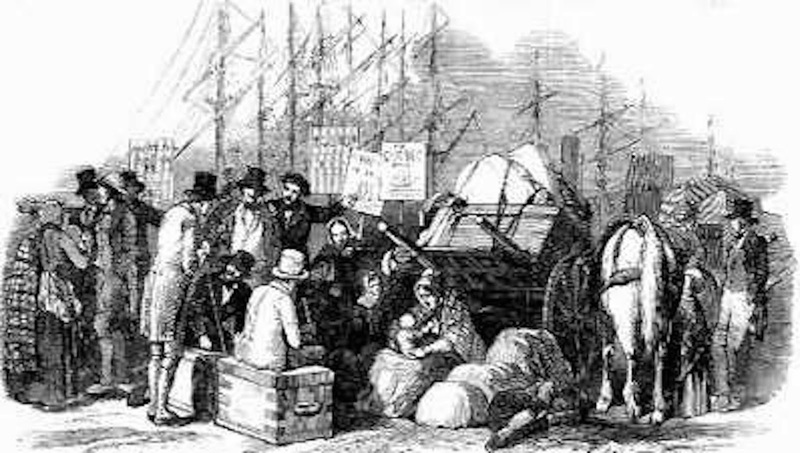 When the Irish Famine hit in the late 1840s, thousands upon thousands of starving immigrants made their way to N. America in what became known as Coffin Ships. Many died during the sea voyage and many more died once they reached the port of arrival. My Irish McGinnis ancestors arrived in Upper Canada (present day Ontario) in 1847 with a one year old child. I cannot begin to imagine what they endured to come to this new land. In New York so many Irish immigrants died while in quarantine that the city ran out of spaces to bury the bodies. 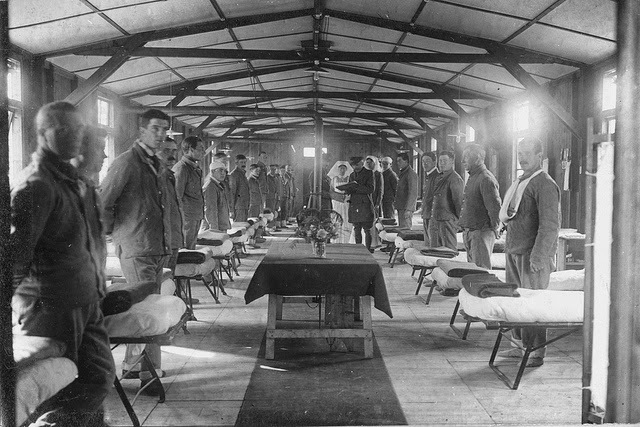 Because of the lack of space, thousands of bodies were stacked anonymously, three and four deep, in trenches dug behind the hospital. 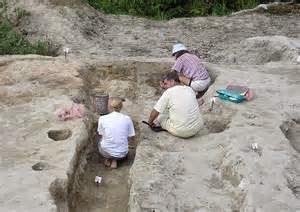 Now, more than 150 years later, the remains of 83 men, women and children, recovered from the quarantine’s hastily dug ditches, will be re-interred and given a proper burial. We all love to find a journal or diary or a letter written by a great-great-grandfather or grandmother or another ancestor. But we often forget that our own stories will be just as exciting to our children and grandchildren. It's important for us to record our own memories and write our own journals to pass on to our descendants. My 54 page E-Book provides almost 150 prompts and suggestions for guiding you as you record your childhood memories and stories. Each prompt has several questions designed to jog your memory of events. It also contains suggestions for publishing your journals to share with family members. Did you know that if family stories are not recorded and preserved, they will be lost within 3 generations? Don't let that happen to your precious family memories! Sapper Harry Cripps, who, after spending a year in the trenches, is reported to have died of wounds Sept.11. Prior to enlistment he was in the employ of the C.N.R. and for several years was a resident of Snowflake, Man., where many friends will regret to learn of his death. Harry's Attestation Papers provide his full name - Charles Henry Townsend Cripps. He was born January 26, 1886 in Wanstead, Essex England. 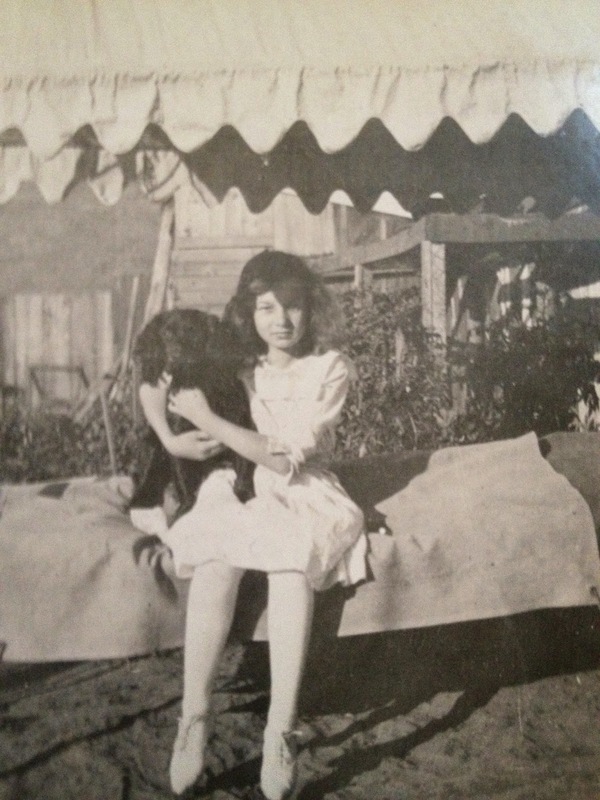 Harry gave his next-of-kin as Bessie Cripps living in England. His enlistment date was April 1915 in Winnipeg Manitoba. 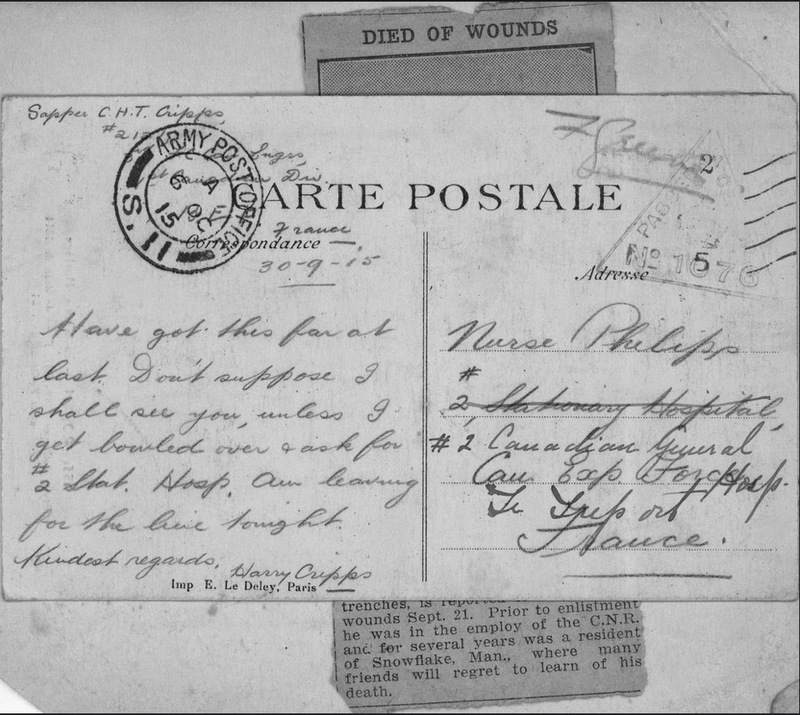 Young Harry was killed in France 13 September 1916 just one year after sending his postcard to Nursing Sister Connie Philips. He was buried in Puchevillers British Cemetery near Doulens France. The War Graves Registers give the details of what happened to Harry on the day he died. He was with the 1st. C. D. E., 3rd Field Company of Canadian Engineers when he died. Olive Tree Genealogy had an interesting question from Shannah about her grandfather. My findings point out the need to take family lore with a grain of salt and not accept it as gospel. The story I was told was that it was my Grfa. who had left Cork, Ireland, from Sept. to December of 1887 (I believe these are the months) on the Barque Julia, from Edinburough to Cork and to New York. This particular Barque was a ship of supplies and the Captain was a friend of my Gr-Grpars., TWISS, Francis Edward Day, Sr.. It was my Grfa. who had suggested that he, himself, come out to Canada, first and they allowed it but he must go with someone they knew. It was only a few days' trip and have researched into several ports along the eastern coast to no avail. When he had landed, he had stayed with friends of his pars., (never knew who they were) Francis Edward Day and Ellen THOMPSON, in New York for a while then travelled up into BINBROOK, Wentworth Cty., Ontario, Canada to stay with our cousins/family there while his own pars. arrived through Montreal, Quebec, Canada in the following springtime. Making a mental note of these statements does not mean I accepted them as fact. It was obvious they were family lore passed on through the generations. After searching on Ancestry.com in census records to gain a better understanding of the Twiss family group, their names, ages and residence, I knew that Francis Edward went by Edward, when he was born, his given year of immigration and that he was in British Columbia from 1891 census on. Turning to the Immigration records on Ancestry.com it did not take long to find Edward, his wife Ellen and 3 daughters sailing from Cobh, Ireland on the ship Peruvian. The Peruvian made stops at three ports: Baltimore Maryland, St. John Newfoundland and Halifax Nova Scotia. Beside the names of Edward and his family was the notation that they were headed to Victoria (British Columbia) Their arrival date was September 4, 1888. It is not clear if the family left the ship at St. John or Halifax but I suggest it was Halifax. From there they could continue their journey to British Columbia. Hint for Shannah: In 1891 your grandfather is recorded as James W. Twiss and he is found with his parents and sisters in Victoria B.C. He is mis-indexed on Ancestry.com as the son of a Thomas Stephens but the image clearly shows him in the Twiss family. It's always wise to ignore the index information if a search result seems like a good possibility - always check the actual image if there is one. Sharing Memories Week 32 - Liar Liar Pants on Fire! 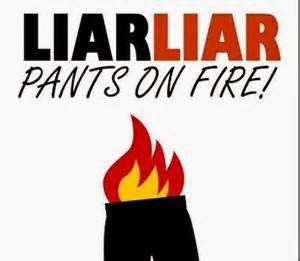 The prompt for this week (Week 32) is Liar Liar Pants on Fire! Did you tell fibs as a child? Or were you always honest and truthful. Were your fibs little ones ("No Mommy I didn't eat that cookie.") or were they whoppers ("No Mommy I didn't cut sister's hair.")? I told a few fibs in my time. Some were whoppers. After saving up for a long time, my parents bought a stereo system. And one day I scratched my initials into the top. I was about 7 years old at the time. Why did I do it? I don't know, but I remember thinking how nice and shiny it was before getting my mother's tiny sewing machine screwdriver and going at it. When my parents spotted the shaky "L.M." scratched on top of their pride and joy, they obviously knew it was me but I accused my brother who had the same initials. However big brother was 9 years older than me so no way did Mom and Dad believe he did it. I outgrew the lying stage of childhood and in fact I can't even tell a social white lie because people can tell I'm not being honest! My husband says it's something to do with the look on my face. What about you? Do you remember telling fibs when you were a kid? Hiding secret messages? World War 1? Sounds like a James Bond Spy Novel - but it isn't quite. Recently a woman found a secret message hidden in the folds of a kit which had been in her family for many years. 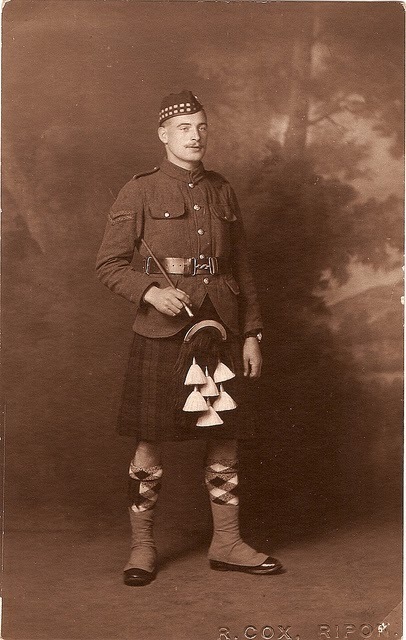 The kilt had never been worn and was obviously made for a soldier heading off to the front during WW1. The message read: "I hope your kilt will fit you well, & in it you will look a swell. If married never mind. If single drop a line. Wish you bags of luck, & a speedy return back to Blighty." Underneath was the name of Helen Govan, of 49 Ardgowan Street in Glasgow. Who was Helen Govan? 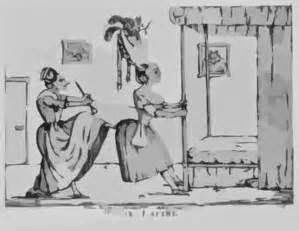 Perhaps she was an unmarried seamstress hoping to hear back from a possible future husband. Perhaps she was simply a kind-hearted woman who wanted to brighten a soldier's day. Did Helen stuff a note into every kilt she stitched? Or was this a one-time occurrence meant specifically for a man who had ordered the kilt? There are so many unanswered questions but how wonderful if we knew what happened to Helen in Glasgow. Recently FamilyTreeMagazine published a list of their Top 100 Genealogy sites. Included was a category for Top Canadian Genealogy with only 4 sites named. That was disappointing considering all the great Canadian Genealogy websites out there, so several of us bloggers decided to publish own list of the Top 10 Canadian Genealogy websites. Here is my list, in no particular order. 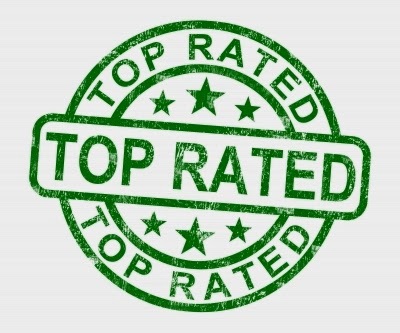 I have included both free and pay-to-view sites simply because my criteria is quality. And often quality costs money. We genealogists are lucky to have so many quality sites that are also free. I wanted this list to be as generic as possible, that is, to cover all or most of Canada if possible. There are excellent websites for specific provinces and territories but they are not included here as they do not hold record sets for all of Canada. * Library & Archives Canada (free) - dozens of free online databases for anyone with ancestors who lived in Canada. It is not always easy to use but if you can struggle through it is well worth it. * Olive Tree Genealogy (free) Yes I know it's my site. But it has many terrific databases such as ships' passenger lists to Canada, Loyalist information and land records in Ontario. * The Ancestor Hunt (free) I use Kenneth R. Marks' blog for a comprehensive list of links for online Canadian Newspapers. * TheShipsList (free) Sue Swiggum's amazing site is chock full of early ship passages up the St. Lawrence River. 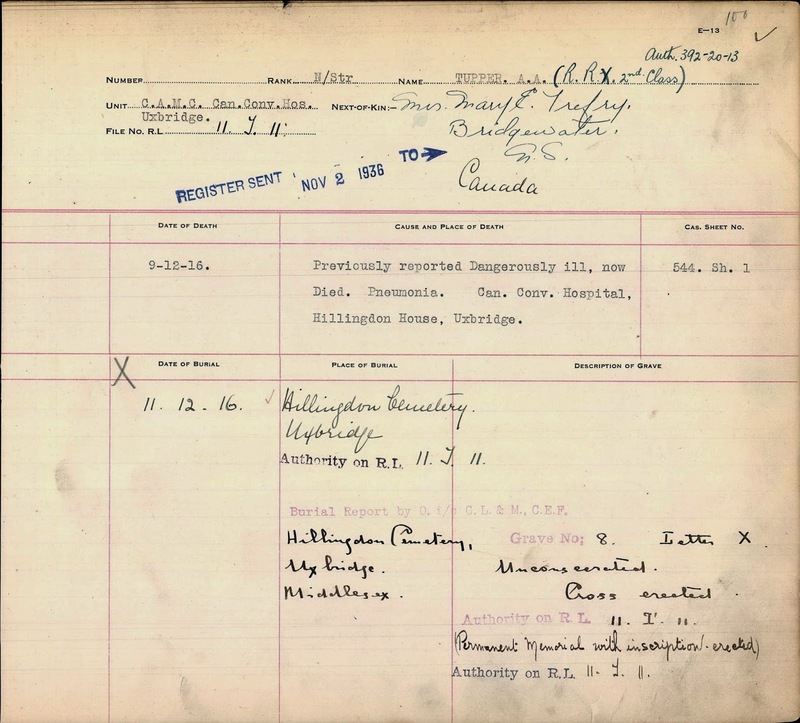 * Ancestry.ca/Ancestry.com (fee-based) - So many terrific Canadian records I can't possibly list them all. They range from Canadian census records, voter's lists, vital statistics and more. Both locales (.ca and .com) have identical record sets. * Canada GenWeb Project (free) The Canada GenWeb provides an easy way for genealogists to choose their province or territory of interest. Each specific site's value is dependent on the host's knowledge and interest, but it is well worth checking out. * FamilySearch Canadian Collection (free) FamilySearch currently has 81 databases for Canada online. Some are indexed, others are not but it is worth your time to take a look at what is available. * The Canadian Military Heritage Project (free) There are several excellent sites for specific Canadian military records such as War Dead, but not many that provide an overall perspective of all military wars and skirmishes Canada was part of. CMHP does just that plus it provides links to online databases for each war. It also provides several biographies of soldiers and other interesting data.